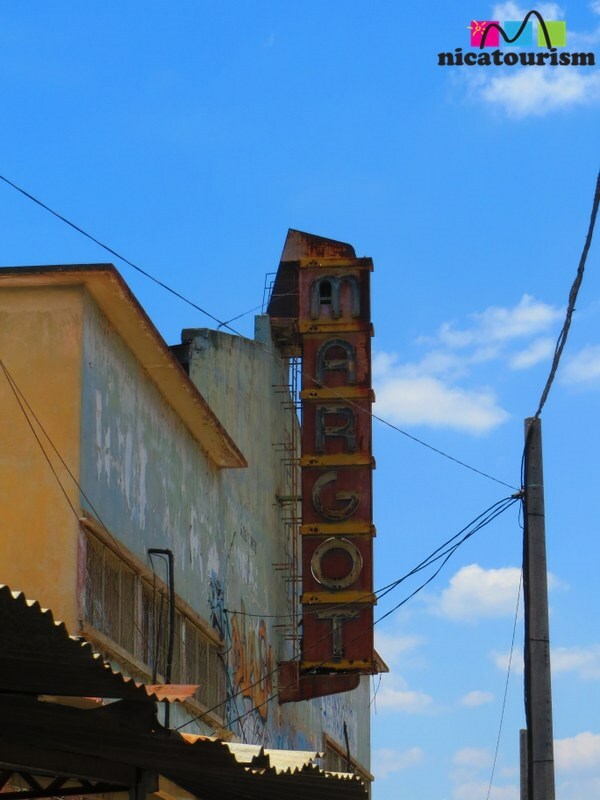 The Margot Theatre on the North Highway (Carretera Norte) in Managua, Nicaragua has seen better days. It was originally built with funds from a Venezuelan immigant in Nicaragua named Sebastan Allegrett. It functioned for more than 75 years. Here's a nice video with pictures and legends in Spanish: Cine Margot. It was recently brought back to economical life when the new Central Judicial Complex of Managua (Complejo Judicial Central Managua) was opened across the street. Now, you can park your car in the shade, driving right into what was, in another life, the regal Cine Margot.